Hi! My name is Gan Jia Min. After graduating from KDU University College A Levels, I headed off to the University of Cambridge in October 2014 to study Engineering. 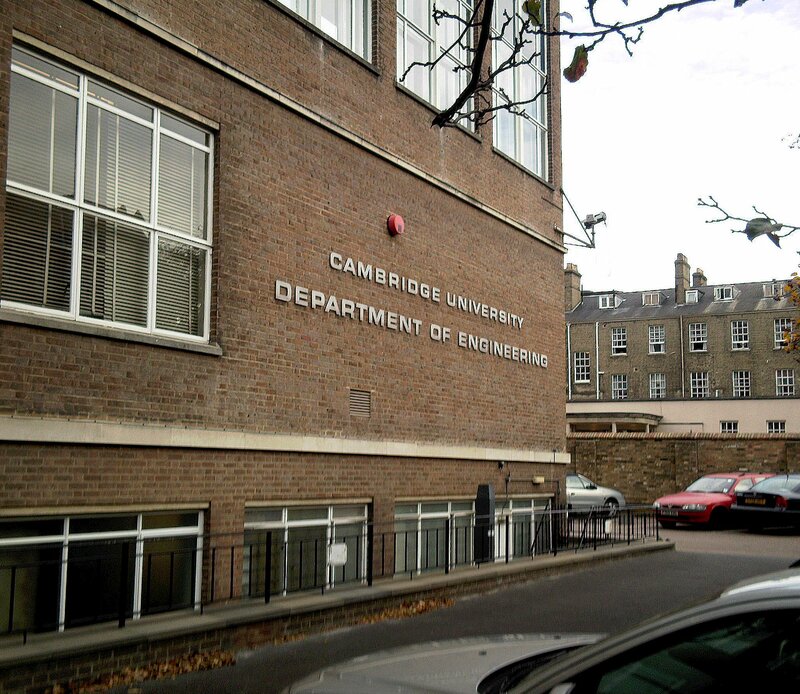 There are 5 simple steps to follow if you wish to apply for Engineering in Cambridge. Firstly, fill up your UCAS online application. You will need to include a personal statement in this form. Secondly, find out if you have to fill up another online form called COPA (Cambridge Online Preliminary Application), which can be found here (international applicants have to fill this up, so if you’re applying from Malaysia, you have to submit this). Fill it up if you are required to and submit it before the deadline. Thirdly, fill up another online form called SAQ (Supplementary Application Questionnaire). If you have already filled up the COPA form previously, you should indicate that you have done so and you will be guided to the relevant section of the SAQ to submit the form. Again, please check the deadline of submission of these forms. Next, keep your fingers crossed and wait for an email inviting you to an interview and a written test. The interview and the written test are most likely to be within a few days of each other. Lastly, wait for their decision, whether or not to accept, reject or pool you. This decision can come via email or (more traditionally) by post, which could take up to a week or longer than by e-mail. Whether or not you will be notified by e-mail or post will depend on which college in Cambridge you applied to. It is important to show the university that you are passionate about your chosen course. In doing so, you may want to elaborate on what inspired you to pursue Engineering in the first place. For me, I wrote about how the construction of the Petronas Twin Towers coupled with my love for Mathematics and Physics fuelled my passion for Engineering. As far as personal statements are concerned, words have little meaning if you cannot back them up with actions. Elaborate on what you have done to learn more about Engineering. For example, reading a relevant book, fixing a bicycle or signing up for an attachment at an engineering firm. Merely stating “I have fixed a bicycle before” is not good enough because it sounds shallow. Elaborate on what needed fixing and how you did it. Explain what you have learnt from this and how it relates to your passion for engineering. You should include any relevant ECAs as well. For example, an engineering competition you participated in. Once again, add depth to your points. What have you learnt from the competition, etc. Personally, I wrote about the experience and knowledge I gained from participating in several Mathematics competition as well as a Surveyors’ competition. Of course if possible, your personal statement should be proofread by someone experienced. If you are in Malaysia, MABECS offers this service free of charge (http://www.mabecs.com/). If you wish to be interviewed in Malaysia, you will only be interviewed once before your college decides to accept, reject or pool you. Note that you may be re-interviewed via Skype by another college if you are pooled. Before attending your interview, make sure you know what you have written in your personal statement inside out. If you talked about reading a book, make sure you really know the book because the interviewer can ask you about it. Also, revise your school work, especially the chapters you said you would have covered by the date of the interview in your COPA. These are usually rich sources of questions. During the interview, you will be asked academic questions. Try your best to answer them. Make sure you think aloud. It is important that the interviewer knows your train of thought. Whenever you get stuck, do not worry, the interviewer will give you hints for you to proceed. Engineering applicants are, not surprisingly, usually asked Mathematics and Physics questions. Usually the questions will start simple, and then become more complex as you go along. Very frequently, you will be asked unfamiliar questions and be expected to apply what you have learnt in that situation. Let us look at two questions I made up below. A usual Mathematics question will be graph sketching. Say, sketch y=x and y=sinx. So far, so simple. One is a straight line through the origin and the other a sinusoidal graph. Then, maybe, you will be asked to sketch y=(sinx)/x. This may not be immediately obvious. However, do not panic. Remember, think aloud. You may not immediately know the answer, but tell the interviewer how you wish to proceed. For instance, you could say for x>0, as x increases, the denominator increases whereas the numerator oscillates from 1 to -1 and back to 1 again. So, as x increases (for x>0), (sinx)/x must also be oscillating with decreasing amplitude. After that, the interviewer may ask you to sketch y=xsinx. The point here is, tell the interviewer your train of thought. Do not remain silent. Let us look at another example. An engineer must be good at estimating quantities. Many errors can be avoided if you have a rough idea how large a number should be. So maybe the interviewer can ask you to estimate the mass of oxygen in the room you are in. So, once again, explain to the interviewer how you wish to tackle the question. Maybe you can estimate the dimensions of the room, and from that, its volume. Then maybe you proceed to say oxygen makes up approximately 20% by volume of our atmosphere. From the volume, you can use the ideal gas equation to estimate the number of moles of oxygen molecules and multiply this with the Relative Molecular Mass of O2. All Engineering applicants will have to sit for the TSA (Thinking Skills Assessment). You will also have to write an essay about engineering from five choices. All I did to prepare for the TSA was to do a specimen test they have online which can be found here. I did it just to get a feel of what kinds of questions they will be asking. Remember though, to always keep an eye on the clock. Otherwise, you may not be able to finish it on time, especially if you are not a fast reader. All I did to prepare for the essay was to once again revise my school work. It is pretty much the same preparation as for the interview. Gan Jia Min is a Math/Physics lover who is pursuing his Engineering degree in the University of Cambridge under a JPA Scholarship. One of his prouder achievements was to become the high jump champion in his primary school in Primary 5!